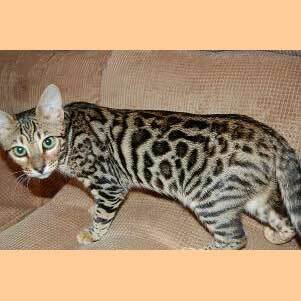 Ganges Cattery is pleased to offer exceptional Bengal, Savannah and Serengeti kittens to loving, responsible owners. We are very experienced, caring breeders, and are devoted to our cats and kittens, as well as to the ultimate satisfaction of our customers. HOME OF BEST BENGAL IN TICA - 2006 and 2007... KITTENS - RETIRED ADULTS available. Seven consecutive generations of Bengaland Supreme Grand Champions. 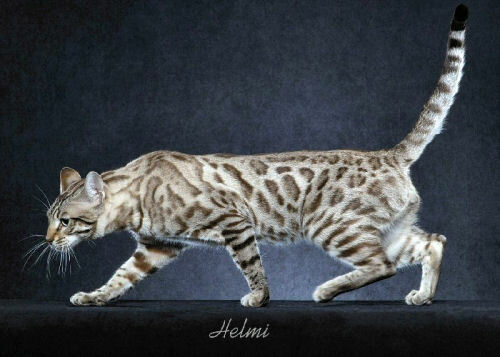 Mid Atlantic Best Bengal Cat 2002 through 2007. TICA "Outstanding Cattery" & TIBCS "Cattery of Excellence". Beautiful wild looking rosetted brown/black - tri colored awesome marbles. Also, state of the art snows rosettes and marbles, blue, green and gold eyes. Well handled for outgoing confident loving temperaments...Providing Contracts, Health Guarantees and Vet checked at least twice to include Vaccinations. A MUST SEE!!!!! We have both males and femles rosetted kittens available. All kittens comes with a 30 day health quarantee, 1yr on genetics, first shots and worming. all kittens vert socialized. We stand by our kittens 100%. Our Cattery has been tested for FIV, Feline Leukemia, and FIP. We are a small in home cattery ) in northeastern (Schuylkill county) Pennsylvania. Providing quality Bengals with pampered under foot attention.